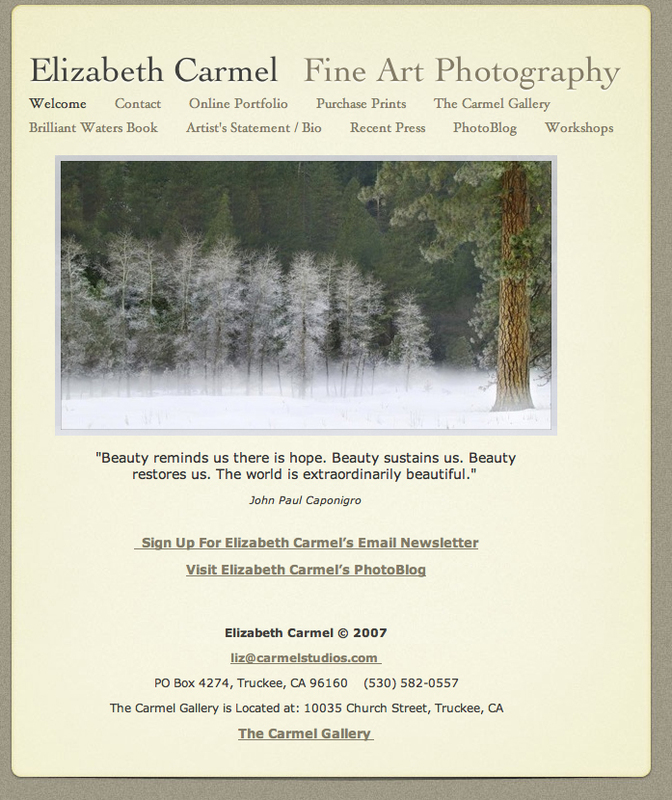 I just finished uploading my new website design to www.ElizabethCarmel.com. I used the new Apple iweb software to redo the site, since I do not know alot of html, and I am pleased with the result. 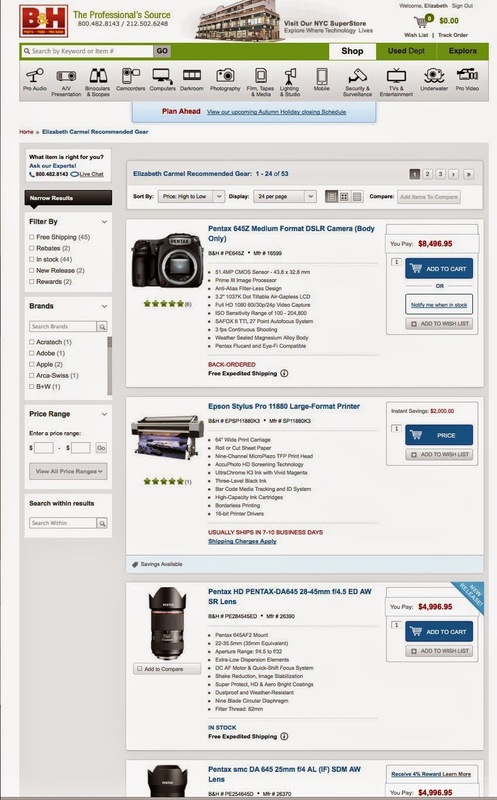 I consider the site in "beta" form, if you notice any glitches or things that need improvement please drop me an email. I can now update the site more easily and add pages by myself instead of waiting for a web master to do everything for me. I added a new category called "High Sierra" in the online image portfolio, and a category called "Winter's Grace". The High Sierra category has some shots from my recent backpacking trip, which I am also posting in a gallery here on the photoblog. I have also added a page for Workshop Announcements.